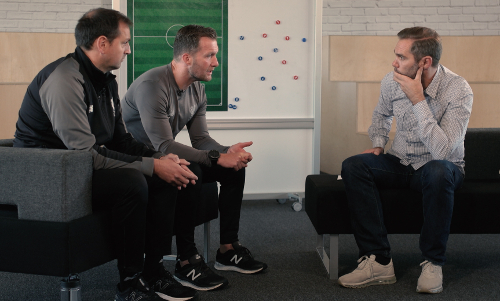 Jason McAteer has opened up on the emotional process of making a hard-hitting LFCTV documentary to mark World Mental Health Day. Through the Storm, an hour-long film that examines the impact of mental health problems in football and wider society, is available to watch free on YouTube and LFCTV GO. Former Red McAteer discusses his own battle with depression, which gripped him following his retirement from the game in 2007 and he first revealed in his autobiography. “I felt I was living a bit of a lie saying everything was OK at the end of my career, that I fell into the media and all the time on my hands was brilliant, when really it wasn’t,” he explained. “I felt I had a bit of a duty to speak out and tell the truth; but also it was speaking for a lot of other former players of my generation who were finding it difficult to finish playing football. “It’s like a light switch – one day you’re going in and playing, with 25 mates, with direction and drive, games to look forward to and focus on, and living in a world full of adulation and fame to an extent. 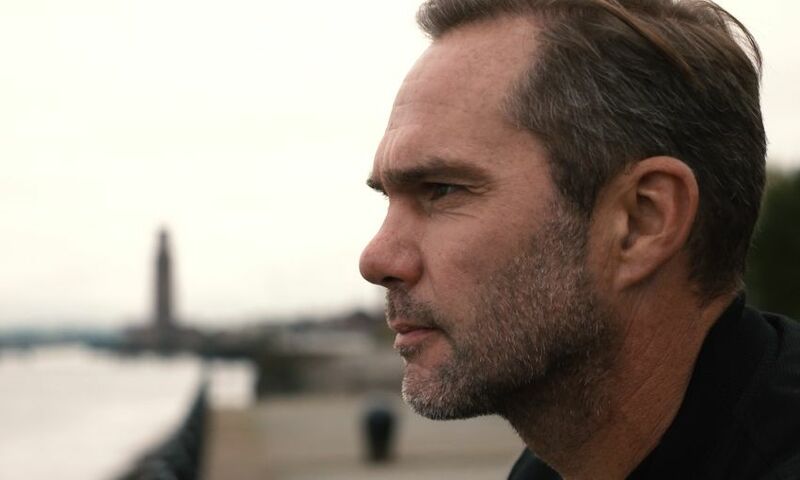 In the documentary, McAteer explores the effects of mental health problems – and what can be done to help – through the perspective of the Liverpool FC community. He visits the club’s Academy and Melwood bases to interview key staff and see the work being done to protect the emotional well-being of both young and senior players. Chris Kirkland, and wife Leeona, discuss their experiences of depression, which the former Reds goalkeeper struggled with later in his playing career. And McAteer meets Peter Hughes, a passionate Kopite whose son, Neil ‘Yozza’ Hughes, took his own life at the age of 31 in 2016. Peter bravely shares poignant memories of Neil and the aftermath of his passing in the hope his words will reach others in a similar position. “Listening to Kirky, I felt it wasn’t just me in that situation. It wasn’t nice to hear him but it made me feel I wasn’t alone and someone else had felt those problems,” said McAteer. “I found his take really interesting, what he felt mental health was to him and how his wife was his rock, and the support of his family, which was similar to me. “I found the Academy stuff amazing; the way Alex Inglethorpe and Phil Roscoe spoke about the Academy and what they’re trying to do was uplifting and I was proud that the club has taken on this problem and realised there can be a problem if it’s not dealt with in the right manner. “The heartbreaking part of the documentary – the very tough part – was listening to Peter’s story and talking about how losing Neil has affected his family and friends and the community. Listening to his best friend speak about him was devastating and heartbreaking. McAteer hopes the powerful nature of the documentary will not only raise awareness of mental health problems but also act as a reminder for those who are struggling that help is always available. “The world is changing and the demands are changing,” he said. “Kids are growing up in a world where everything is really quick, with peer pressure. Although it was there before, it’s more so now because of social media. It’s phenomenal pressure. “For middle-aged men, there are demands – in some cases – just to put food on the table. People in jobs have deadlines to meet. You might have a problem in your personal life. If you have been affected by any of the issues raised in Jason McAteer: Through the Storm, the following list of organisations, drawn up by the NHS, may be able to provide help and advice. ZSA is a collaborative of NHS trusts, businesses and individuals who are all committed to suicide prevention in the UK and beyond. Watch their free 20-minute suicide prevention training clip here. SOBs exists to meet the needs and break the isolation experienced by those bereaved by suicide. They are a self-help organisation and they aim to provide a safe, confidential environment in which bereaved people can share their experiences and feelings, so giving and gaining support from each other.